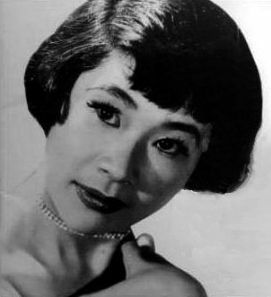 Miyoshi Umeki (梅木 美代志 Umeki Miyoshi, May 8, 1929 – August 28, 2007) was a Japanese American actress and standards singer. She was best known for her roles as Katsumi in the film Sayonara (1957), Mei Li in the Broadway musical and 1961 film Flower Drum Song, and Mrs. Livingston in the television series The Courtship of Eddie's Father. She was a shin Issei, or post-1945 immigrant from Japan. Read more on Wikipedia.